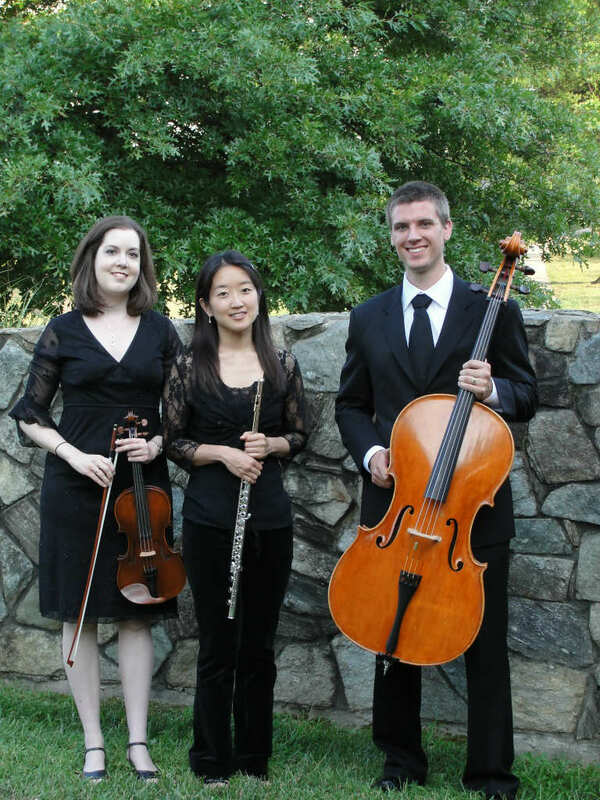 When people think of having a professional ensemble play on their special day, they imagine the wedding string quartet sitting off to the side of the church during the ceremony, delivering the traditional entrance music, exit music, and maybe a little something in the middle. 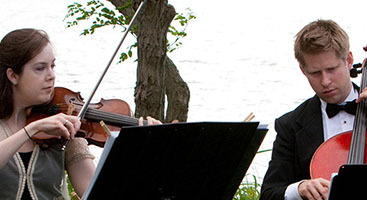 And the fact is, we’re perfectly happy to bring the most beautiful music to your wedding ceremony. But when it comes to reception music, far too many people think they have to hire a separate group to perform the wedding reception music. We’re happy to tell you that Perfect Harmony Strings is ready to take care of your reception as well. Why is this a great idea? You’re probably familiar with the YouTube sensation The Piano Guys. With tens of millions of views, they’re proof that people don’t want to hear the same old remixes from the most familiar instruments. People want to to hear familiar songs, but they want to hear them on instruments that give the music a fresh sound. You probably don’t want your rock band to desecrate Bohemian Rhapsody, but people will delight in hearing it from a string ensemble. 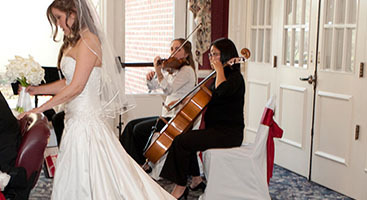 Perfect Harmony Strings has a repertoire of hundreds of contemporary songs that people at your reception will want to hear. 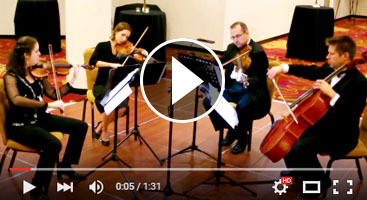 No matter what music we’re playing — whether it’s rock, classical, or movie soundtracks — Perfect Harmony Strings brings a touch of class to your wedding reception. We dress well and our music is kind to the ears, as opposed to the average band that dresses as they wish and cranks the music up way too loud. Perfect Harmony Strings is the string ensemble that’s ready to play the music you want to hear, no matter where you are in the country. Contact us to book us for your special day.